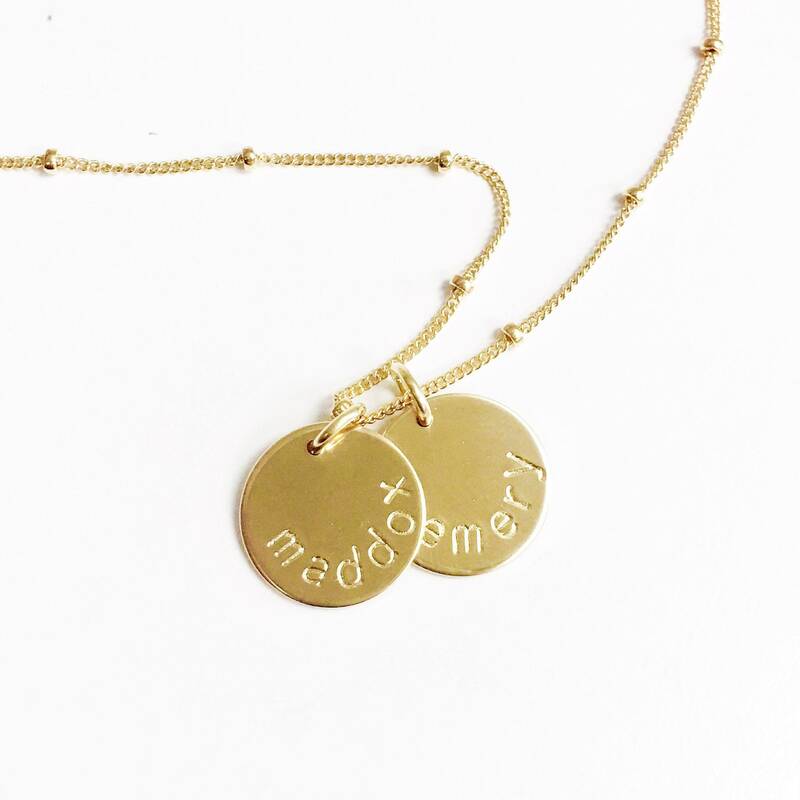 Our classic name necklace is perfect for everyday! 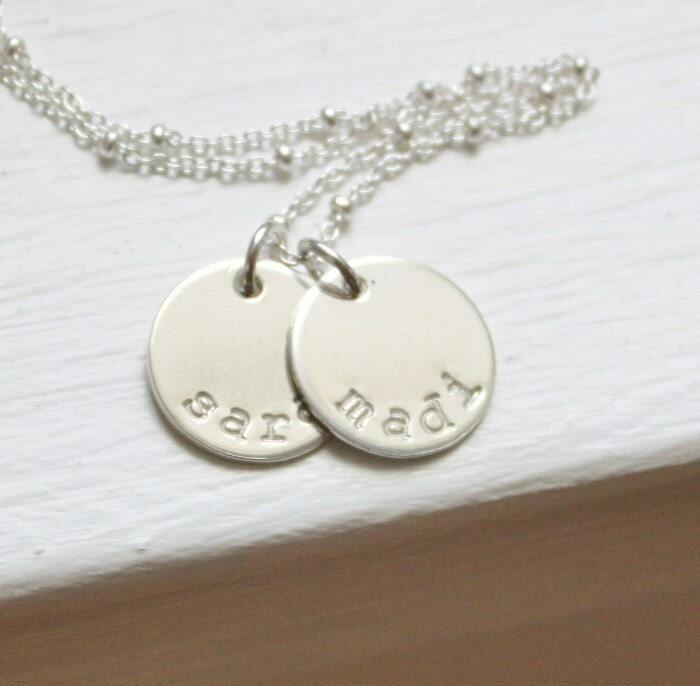 Hand stamped just for you in your choice of Silver, Rose or Gold options. 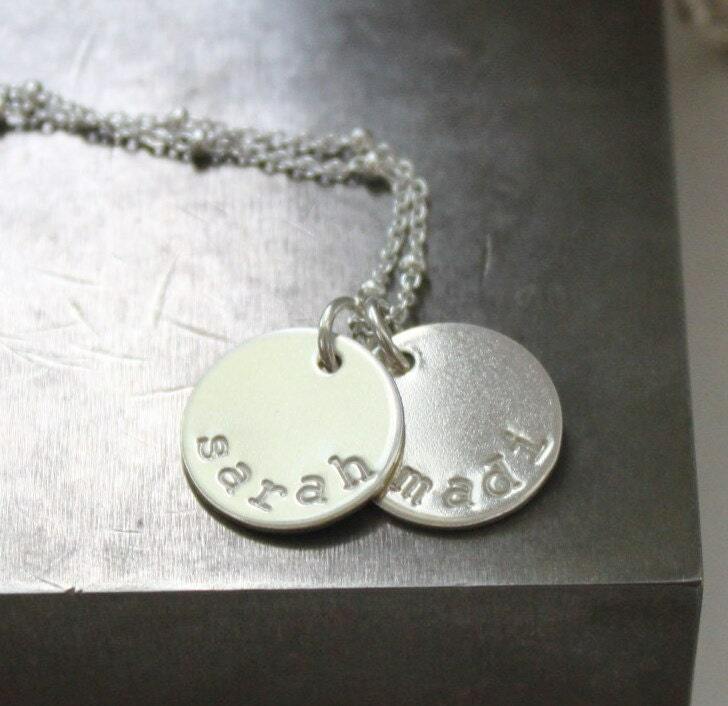 Choose 1-3 discs that can have names or dates. 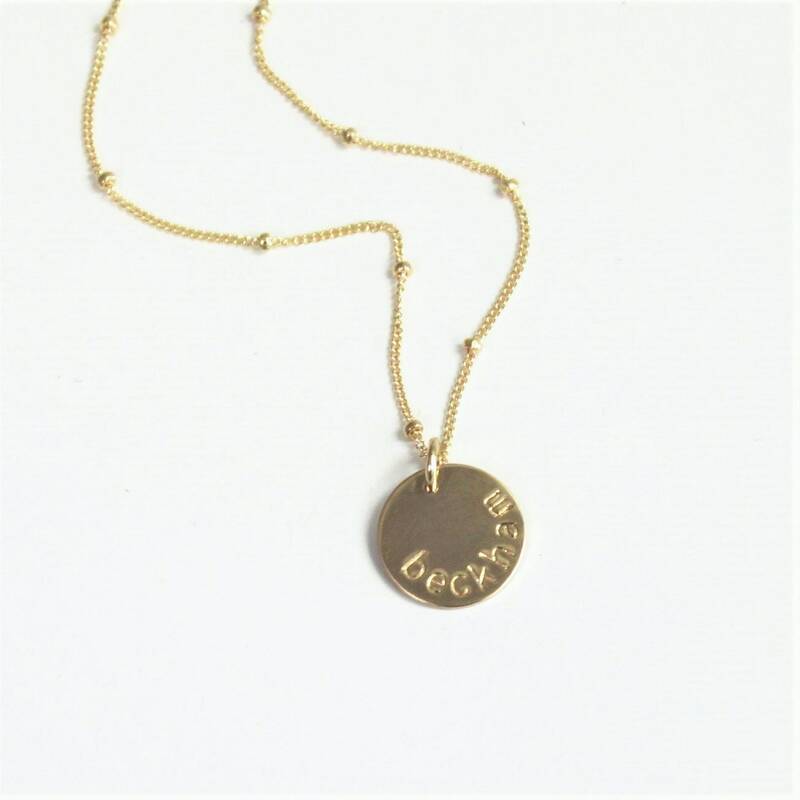 -A high quality delicate satellite chain with a spring clasp. 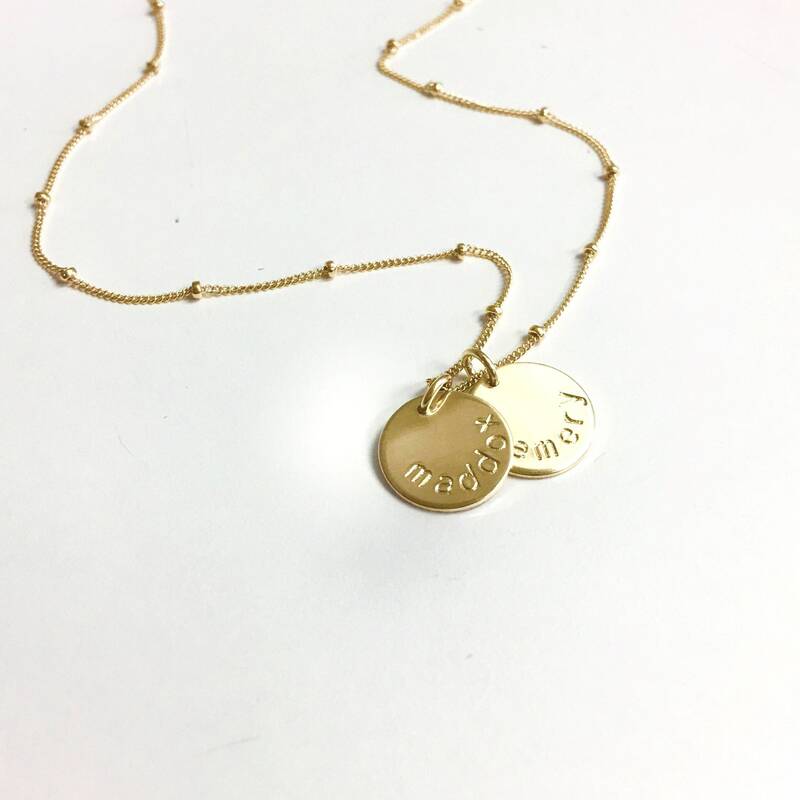 -Hand stamped with a name, roman numerals or date. 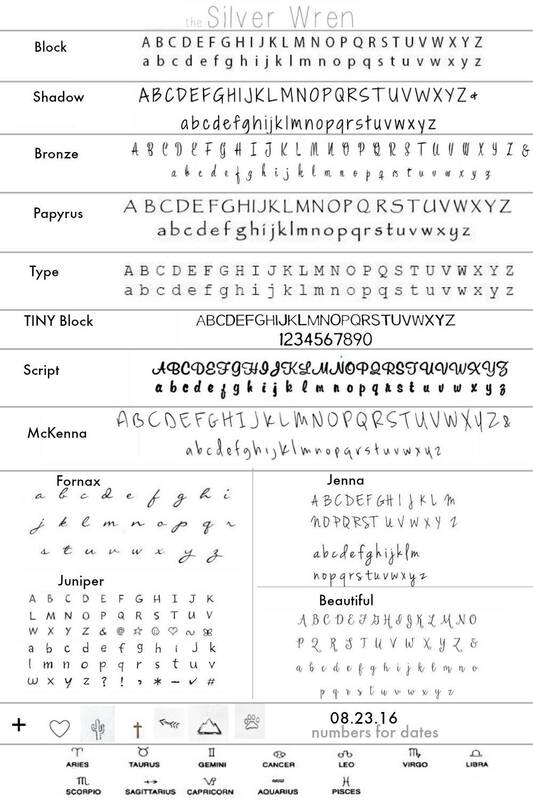 -Lowercase fonts 7 letter max. -Model is wearing 18" in Photos. Gorgeous and nice detail. 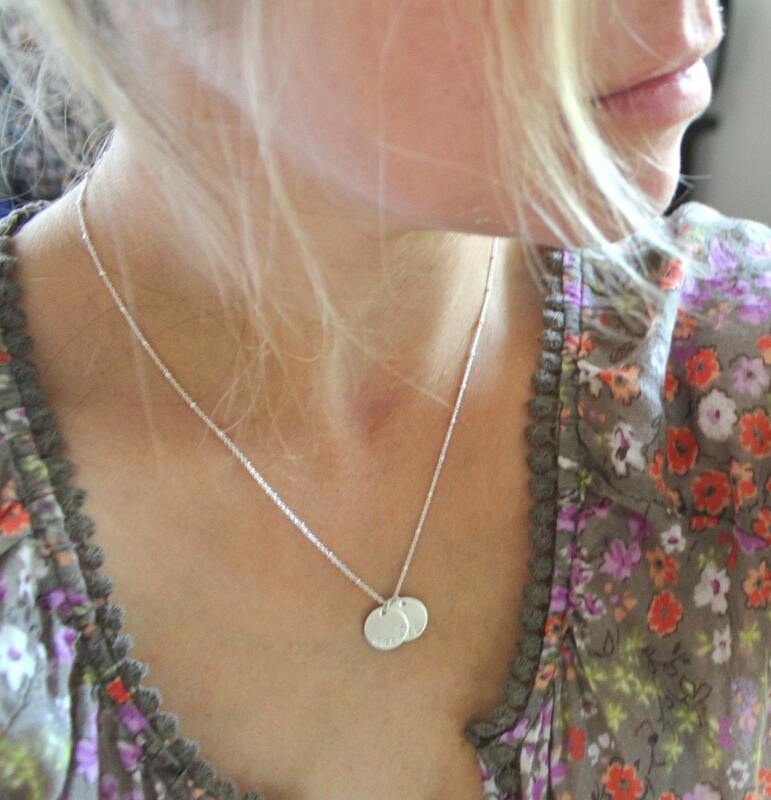 Compliments your daily outfit. My friend loves it!